Hormones have nuanced effects on learning and memory processes. The degree and direction of the effect (e.g., is memory impaired or enhanced?) depends on the dose, type and stage of memory, and type of material being learned, among other factors. This review will focus on two specific topics within the realm of effects of hormones on memory: (1) How glucocorticoids (the output hormones of the hypothalamic-pituitary-adrenal axis) affect long-term memory consolidation, retrieval, and working memory, with a focus on neural mechanisms and effects of emotion; and (2) How oxytocin affects memory, with emphasis on a speculative hypothesis that oxytocin might exert its myriad effects on human social cognition and behavior via impacts on more general cognitive processes. Oxytocin-glucocorticoid interactions will be briefly addressed. These effects of hormones on memory will also be considered from an evolutionary perspective. Levels of hormones such as cortisol and oxytocin are constantly in flux in living organisms, both as a response to their internal and external environments (Nelson 2005a, b). As animals engage with the world, including their social environments, the nervous system responds to the host of stimuli by altering production of hormones. In turn, hormones affect the brain in myriad ways (Carlson 2010; Nelson 2005b, c, d). Some of the ways hormones impact the brain involve physiological regulatory pathways; for example, most hormones exert negative feedback on their own production (Nelson 2005b, d). Hormones also affect cognitive processes such as perception, attention, learning, and remembering (Erickson et al. 2003; Nelson 2005c; Wolf 2008). Such effects may have evolved in part to guide behavior appropriately given the (social) environment. For example, stress hormones tend to sharpen sensory perception, focus attention, and shift behavioral responding towards well-established habits (Fehm-Wolfsdorf and Nagel 1996; Schwabe and Wolf 2009b, 2010). In this review, I will focus on 2 questions within a vast literature on how hormones affect cognition. First, (1) How do glucocorticoids (GCs; e.g. cortisol) affect learning and memory? To answer this question, I will briefly review a large body of work by many researchers, outlining the effects of GCs on different types and stages of memory; interactions between effects of emotion and GCs on memory; the neural mechanisms behind these effects; and speculation on why such effects may have evolved. Secondly, I will address the question (2) Does oxytocin specifically impact social cognition in humans, or might it have effects on other, more general cognitive processes – for example, on working memory - that could help explain its social effects? This question concerns a more recent, less studied topic, on which I will advance a speculative hypothesis. Finally, oxytocin-glucocorticoid interactions will be briefly discussed. In addressing both questions, my focus will be on how these hormones act in humans, though the discussion will be informed by research in animal models. Before diving in, a brief review may be useful to understand how GCs and oxytocin can have any effect on cognition – i.e., how these hormones get to the brain, and the mechanisms by which they impact neurons. Oxytocin is a peptide hormone; peptides are large, hydrophilic molecules that cannot directly pass through cell membranes (Nelson 2005b). So, like other peptides and many neurotransmitters, oxytocin acts on receptors which are embedded in the cell’s membrane. Binding to the receptor causes a cascade of effects within the cell; if the cell is a neuron, peptide hormones can influence neuronal excitability (Carlson 2010; Nelson 2005b). Importantly, oxytocin has two major sources. It is released by magnocellular hypothalamic neurons into the bloodstream via the pituitary gland; this is our major peripheral source of the hormone (Nelson 2005b). From the bloodstream, oxytocin does not cross the blood–brain barrier, and so probably does not impact the brain directly. But parvocellular neurons within the hypothalamus, and neurons in other brain regions (e.g., amygdala) also produce oxytocin for use as a neuromodulator (Nelson 2005b). Oxytocin released in this way from axon terminals binds to oxytocin receptors on other neurons and can change neuronal excitability, just as other neuromodulators (dopamine, serotonin, etc.) do (Carlson 2010; Nelson 2005b). In contrast, GCs are steroid hormones–small, lipophilic molecules which can pass through cell membranes (Nelson 2005b, d). GCs include cortisol (the primary GC in primates, including humans) and corticosterone (the primary GC in many rodent species, including rats and mice). GCs are produced by the adrenal gland as the end-product hormones of the hypothalamic-pituitary-adrenal axis (HPA axis), an evolutionarily ancient system which is very similar in all vertebrate animals (Nelson 2005d; Sapolsky 2002). From the adrenal gland vasculature, GCs travel through the bloodstream and can pass through the blood–brain barrier. After entering cells, steroids classically exert their effects by binding to intracellular receptors. The hormone-receptor complex then migrates inside the cell’s nucleus and affects gene transcription, increasing or decreasing production of specific proteins. These effects on gene transcription are too slow to change neuronal excitability in the moment, but can still have longer-term effects on behavior, through mechanisms such as changing expression of receptor proteins, or restructuring neural connectivity (Nelson 2005b, d). However, researchers have discovered several ways that steroid hormones can act on membrane-bound receptors, and hence have “fast” effects on neuronal excitability. These mechanisms were discovered by observations that steroid hormones administered to lab animals have effects on behavior that are too rapid to be explained by classical intracellular steroid receptors and changes in gene transcription (e.g., Dallman 2005; de Kloet et al. 2008; Frye 2001). It is now known that GCs have rapid effects on neurons, mediated by a type of receptor previously thought to be solely intracellular, which turns out to also be located in the cell membrane (de Kloet et al. 2008). This mechanism makes possible rapid effects of GCs on neural firing, and therefore on cognition. There are two main stress-responsive systems in the body: the sympathetic nervous system (SNS) and the aforementioned HPA axis. The SNS, which exerts rapid effects we think of as “fight or flight” responses, is associated with epinephrine and norepinephrine release in the periphery and increases in norepinephrine neurotransmission in the brain (Carlson 2010; Sapolsky 2002). These hormones/neuromodulators exert their own set of effects on learning and memory (see Nelson 2005c, for a review). The focus here, though, will be on the HPA axis, and specifically GCs. GCs affect cells via two intracellular receptors, the high-affinity Type I or mineralocorticoid receptor (MR) and lower-affinity, but more ubiquitous, Type II or glucocorticoid receptor (GR). These receptors are found throughout the body, including in the brain, so GCs have widespread effects (Nelson 2005b, d). A major function of GCs is to make more energy available to tissues throughout the body. For example, GCs mobilize glucose from the liver, and stimulate the breakdown of proteins and fats (Nelson 2005d; Sapolsky 2002). One common misconception about the HPA axis is that this system (and thus levels of GCs such as cortisol) tracks negative emotion, and thus will respond to any stimulus that feels subjectively bad or unpleasant. Though there is sometimes overlap between the subjective feeling of being “stressed out” and cortisol production (especially with a time-delay, see e.g. Schlotz et al. 2008), subjective stress and cortisol levels are not the same thing, and HPA axis hormones cannot be considered markers of subjective feelings (for further discussion, see Gaffey and Wirth 2014; Wirth et al. 2011). With the main adaptive function of the HPA axis in mind, i.e. to mobilize energy, it makes sense that the characteristics of psychological events which are associated with greater HPA axis activity and cortisol production include perceived novelty, unpredictability, and lack of control over the situation (Mason 1975), and, in humans at least, social-evaluative judgment (Dickerson and Kemeny 2004). Thus, public speaking, which involves lots of social-evaluative judgment, is an excellent stimulator of HPA axis hormones in humans (Kirschbaum et al. 1993; Dickerson and Kemeny 2004). The HPA axis is activated and cortisol levels increase during activities requiring energy mobilization, which may or may not involve negative affect, including seasonal activity changes in some animals, physical exercise, and waking up in the morning (Pruessner et al. 1997; Nelson 2005d; Wilhelm et al. 2007). Cortisol levels also increase during highly novel activities such as skydiving, even if the participant considers it a fun, positive experience (Hare et al. 2013; Meyer et al. 2014), showing that novelty and energy mobilization track cortisol better than emotional valence. Conversely, negatively-valenced events such as a startling loud noise or viewing upsetting pictures are not associated with HPA axis responses in the laboratory (see e.g. placebo conditions in Abercrombie et al. 2003; Buchanan and Lovallo 2001; Wirth et al. 2011), even while these stimuli may produce SNS responses (Bradley et al. 2001). Such stimuli probably do not activate the HPA axis much, if at all, because these situations do not involve social judgment and are not demanding of energy or other resources, at least not in the short term. Returning to the concept of social-evaluative judgment, it’s worth noting that many sources of stress are social in nature: being watched and judged; being harassed or subjugated by conspecifics, even without any physical contact; being too densely crowded with other individuals; and so on (Nelson 2005d). For many animals, especially those that rarely face limited food resources or predation, it could be argued that social stress - such harassment from higher-ranking individuals – is the major form of stress they experience (Sapolsky 2005). This certainly applies to many modern-day humans. Social stress is also an important part of the lives of animals in the wild (Sapolsky 2005). Hence, the stress response and GC levels are intimately tied to social behavior. What does stress do to cognition? Examining our own personal experiences, we know that stress sometimes can enhance memory – we have strong memories of stressful life events. On the other hand, we all know stress can dampen memory, as when we “choke” under pressure and cannot recall information on a stressful exam, or forget an acquaintance’s name while under stress. These introspective observations are borne out by data. Stress can enhance or impair memory, and in some cases the neural mechanisms behind those phenomena are well-described (see e.g. Joëls and Krugers 2007). But stress can affect different kinds of memory in different ways. Figure 1 shows some of the types and stages of memory that will be discussed below. Receptors for GCs are especially localized in brain regions important for learning and memory. The higher-affinity MR is present at high levels in the hippocampus, amygdala, lateral septum, and certain brainstem motor regions (Joëls and Krugers 2007). The lower-affinity GR, however, is abundant all over the brain, but is particularly densely expressed in the hippocampus and prefrontal cortex (Joëls and Krugers 2007; Lupien et al. 2007). Because these regions are sensitive to GCs, patients with abnormally high levels of cortisol, e.g. with Cushing’s syndrome, often exhibit cognitive impairments (as well as affective symptoms; Haskett 1985). Similarly, long-term treatment with drugs that activate GC receptors, such as prednisone or dexamethasone, is associated with mood changes (early mania and later depression) as well as impaired declarative and working memory (Brown 2009). Chronic treatment with potent GC drugs is, of course, very different from normal, physiological levels or acute treatment (Lupien et al. 2007; Wolf 2008). Still, acute changes in GC hormones can also have effects on learning and memory. What is the nature of these effects? Based on the initial studies of chronic treatment, it was thought until recently (at least in the medical community) that the only effect GCs had on learning and memory was impairment (Lupien et al. 2007). Now it is known that the picture is more complex (Lupien et al. 2007). Depending on the dose, the material to be learned, emotional arousal, and the phase of learning in which GCs are elevated (i.e., during encoding/consolidation vs. during retrieval; see Fig. 1), GCs may enhance or impair long-term, episodic memory encoding and consolidation1 – that is, formation of memories of events that happened, what context they took place in, and the order of events (Wolf 2008). GCs also impact working memory (Wolf 2008), and make shifts in behavioral responding (Schwabe and Wolf 2010), as described later in this review. To be clear, the review will focus on effects of acute, rather than chronic, elevations in GCs on memory. Also, though the effects of GCs on memory have been reviewed previously (e.g., Lupien et al. 2007; Wolf 2008), the present review is intended to present this material to the social neuroendocrinology audience, and also to consider this body of work from an evolutionary perspective. GCs affect memory by enhancing or suppressing long-term potentiation (LTP) in the hippocampus and amygdala. LTP involves long-term strengthening of neural connections, and is thought to be the primary (if not the only) neural mechanism which underlies learning (Joëls 2006; Joëls and Krugers 2007). A body of evidence from neuroscience work in animal models shows that the effect of GCs on LTP, as well as on memory performance, follow an inverted-U-shaped dose–response curve (Fig. 2): Moderate GC elevations enhance both LTP and memory consolidation, while very low or very high levels inhibit these processes (Joëls and Krugers 2007; Lupien et al. 2007). This pattern is reminiscent of the Yerkes-Dodson Law (Yerkes and Dodson 1908; Lupien et al. 2007); simialr inverted-U / nonlinear dose–response curves are shared among many hormones and neurotransmitters, most of which have multiple receptor subtypes with different functions (Joëls 2006). Such dose–response relationships are likely adaptive in part because they allow for sensitive feedback and homeostatic control (Joëls 2006). This inverted U-shaped dose–response relationship is determined by the relative numbers and affinities of the two receptors, MR and GR. Maximal LTP, and (as a consequence) optimal memory consolidation, is achieved when levels of GCs are high enough that most of the higher-affinity MRs in the brain are occupied by GC molecules, and an intermediate proportion of the lower-affinity, more numerous GRs are occupied (de Kloet et al. 1999; Joëls 2006). This is generally thought to be the case during mild or moderate stress. Memory is impaired if either too few receptors are occupied, or the GRs become saturated, as in the case of very high and supra-physiological doses of GCs (de Kloet et al. 1999; Joëls and Krugers 2007). We do not yet have methods to assess occupancy of these receptors in the living human brain, but there is ample evidence of the inverted-U-shaped dose relationship in humans as well: Moderate doses of GCs facilitate, while high GC doses or too little GCs impair, declarative memory in humans, just as in lab animals. For example, administration of metyrapone, a drug which blocks cortisol production, impaired memory (Lupien et al. 2002), showing the left-hand side of the dose–response curve. Similarly, stress or a GC injection in the morning (when endogenous GC levels were already high) impaired memory, whereas stress or a GC injection in the afternoon left memory performance unchanged and improved performance (decreased reaction times) on a recognition memory task (Lupien et al. 2002; Maheu et al. 2005). These findings are consistent with non-human animal research in which very low (not enough receptor occupancy) or very high GC levels (too much GR occupancy) are associated with impaired memory consolidation (de Kloet et al. 1999). It is well-known that long-term memory is enhanced for emotional events. Laboratory studies of the impact of emotion on memory reveal two, inter-related phenomena: (1) Among a group or list of stimuli, the ones with more emotional content are remembered better, and (2) being in an emotional state at or near the time of encoding leads to better memory of the encoded material. Importantly, a state of emotional arousal enhances not only encoding processes, but also later consolidation processes (Fig. 1); this is evident in data from studies showing enhanced memory in subjects who underwent an emotion/stress manipulation after encoding the material to-be-learned (e.g., Abercrombie et al. 2006; Smeets et al. 2008). So, are GCs behind these phenomena? As mentioned before, GCs are not really markers of emotion per se; emotional words and pictures used in laboratory studies of memory do not evoke GC responses. So, what underlies the well-known boosting effects of emotion on memory? Amygdala activation turns out to be key for enhancement of memory during emotional arousal and memory for emotional material. Human functional magnetic imaging (fMRI) studies provide evidence that emotional arousal-induced increases in amygdala activity signals the hippocampus to enhance memory consolidation; the degree of activity in the amygdala at the time of encoding positively predicts likelihood of later remembering a given stimulus (Cahill et al. 1996; Canli et al. 2000; LaBar and Cabeza 2006; McGaugh 2004). In other words, heightened amygdala activity – with or without elevated GCs – is associated with enhanced memory consolidation. Research in non-human animals in which the amygdala is manipulated, and in patients with amygdala lesions, corroborate these fMRI findings and show that amygdala activity not only correlates with later memory, but exerts causal influence on memory (Roozendaal and McGaugh 1997; see LaBar and Cabeza 2006; McGaugh 2004 for reviews). However, GCs do play a role in the boosting effect of emotion on memory. Mechanistically, if the dose of GCs is one that enhances memory consolidation (Fig. 2), GCs do this by interacting with GRs that are located in the basolateral nucleus of the amygdala (Roozendaal 2000). The effect of this GR binding is to increase the excitability of amygdala neurons (Duvarci and Pare 2007) – i.e. make the neurons more likely to fire and signal the hippocampus to boost consolidation. However, noradrenergic (i.e., norepinephrine) activity in the amygdala, which increases during emotional arousal and SNS activation, appears to “gate” the effects of GCs on memory. Thus, GCs will not have any effect on memory if norepinephrine activity is not also elevated in the amygdala. Noradrenergic effects on memory would appear to be downstream of the neurons containing GR, as evidenced by the fact that norepinephrine and adrenergic agonists infused into the basolateral nucleus of the amygdala can enhance memory (Roozendaal 2000). Furthermore, an elegant set of studies involving experimental manipulations in laboratory animals has demonstrated that GCs only affect memory – in either a positive or negative direction – when norepinephrine levels in the basolateral nucleus of the amygdala are elevated (Roozendaal 2000; Roozendaal et al. 2006; van Stegeren et al. 2007). Thus, whatever the dose of GCs and resulting memory effects are on the inverted-U-shaped dose–response curve (Fig. 2), norepinephrine activity in the amygdala is necessary for those effects to occur. The fact that GC effects on memory are gated by amygdala norepinephrine activity can help explain why GCs particularly affect memory in novel, arousing, or emotional contexts, which are associated with increased norepinephrine activity in the amygdala. For example, corticosterone injections given immediately after encoding enhanced later object recognition in rats when the learning environment was novel (and thus emotionally arousing), but not in rats that had been habituated to the learning context (Okuda et al. 2004). The “gating” effects of norepinephrine are more directly shown with pharmacological experiments. Beta-adrenergic antagonists – i.e., drugs that block norepinephrine signaling – block any effects of GCs on memory in animal models (Roozendaal 2000; McGaugh 2004, 2006). Similarly, in human research, administration of GCs prior to or right after encoding seems to particularly enhance memory for emotional material - material which presumably increases norepinephrine signaling in the amygdala (Buchanan and Lovallo 2001; Payne et al. 2007). In one study, GC-related memory enhancement was only seen in the presence of elevated negative affect; elevated norepinephrine would presumably accompany this emotional state (Abercrombie et al. 2006). Some studies even find that stress enhances encoding/consolidation of memory for emotional material while impairing memory for neutral material (Jelici et al. 2004; Payne et al. 2007). This is considered a “trade-off effect”: The emotional material is so prioritized for consolidation that it is remembered at the partial expense of surrounding neutral “background” information (Payne et al. 2007). Furthermore, administration of beta-blockers such as propranolol -- a drug which crosses the blood–brain barrier and blocks norepinephrine signaling – blocks the emotional memory effect in humans (Strange and Dolan 2004; van Stegeren et al. 2005). In other words, blocking norepinephrine in the brain removes any increase in retention of emotional material over that of neutral material (LaBar and Cabeza 2006). As mentioned previously, not only the “positive” but also the “negative” effects of GCs on memory are gated by emotional arousal and its accompanying norepinephrine activity. For example, in a study utilizing a dose of GCs high enough that it was expected to impair memory formation,2 memory of emotionally arousing story details was impaired, while memory of neutral story details was enhanced in a sort of “reverse trade-off effect” (Rimmele et al. 2003). In rodent studies, the impairing effects of GCs on memory retrieval and on working memory (which are discussed further below) were blocked by either lesioning the basolateral nucleus of the amygdala, or by blocking norepinephrine activity there with propranolol (Roozendaal et al. 2004a, b). To summarize the role of GCs in emotional memory, elevated GCs together with the heightened norepinephrine associated with emotional arousal impact memory encoding/consolidation (enhancing or impairing it, depending on the level of GCs in relation to the dose–response curve; Fig. 2). These effects depend on the basolateral amygdala; when GR here are activated by GCs, along with noradrenergic activity, downstream memory consolidation processes governed by the hippocampus are impacted. The distal/evolutionary reasons for these mechanisms are not well understood, but speculation is possible. First, it is clear from many lines of evidence – not just the study of GC effects on memory – that the nervous system is biased towards retaining new information that has emotional salience, often even at the expense of associated non-emotional information (Payne and Kensinger 2010). This makes sense considering that emotional events are the ones most likely to be associated with immediate threats or possible benefits to reproductive fitness. Also, not all information can be veridically preserved in memory. In some organisms, one limit on memory may be the size of the brain. In addition, neurons consume more energy than almost any other tissue in the body (Carlson 2010); if an organism can be efficient in its use of brain tissue, this will always be adaptive when calories are scarce. Even for large-brained animals, the enormous amount of information the brain must process at any given time exceeds its capacities, and must be grouped and organized in different ways (Snyder 2009). Relatedly, in humans, savants with near-perfect veridical episodic memory have accompanying cognitive and practical deficits (Luria 1987; also see Snyder 2009). Given these constraints, not all memories can be preserved, and emotional memories are a good bet for what are most adaptive to consolidate. However, this emotional enhancement of memory must be carefully regulated so that important events are not overlooked, and yet not every event is preserved strongly in memory. This balance may be why a complex system developed over vertebrate evolution to increase memory consolidation only in the right circumstances, with moderate stress hormone release and emotional arousal together leading to the strongest consolidation. We all know anecdotally that some people remember things better under equivalent stress than others. This could be in part because GR density in the brain differs between individuals (Champagne et al. 2008; Meaney 2001; McGowan et al. 2009), and can also fluctuate over time within an individual (Pariante 2004; Rohleder et al. 2003). Speculatively, what this might mean is that for each individual, a different level of stress / GCs will be optimal for learning – in other words, people may differ in exactly what dose of GC will hit their peak in their inverted-U-shaped dose–response curve. GR density is determined in part from early experiences, which shape expression of the GR gene over the long term via methylation of DNA at that site. In particular, it has been established in rodents that higher levels of maternal care in infancy lead to less methylation of the GR gene and therefore greater expression of the GR in the brain in the adult animal (Meaney 2001). This means greater negative feedback, which depends on activity at GR – hence, HPA axis responses are shut off more effectively. It also means differing effects of stress on LTP and learning. In rats experimentally assigned to receive low levels of maternal care, which leads to fewer receptors for GCs, stress enhances LTP and improves learning in adulthood; in rats that received high levels of maternal care (more receptors), stress has the opposite effects on LTP and on learning (Champagne et al. 2008), indicating the dose–response curve has moved left due to their greater sensitivity to GCs. Researchers believe that this plasticity in the GR gene evolved to help prepare the nervous system for what is to come (Champagne et al. 2008). Low GR levels may prepare the organism better for a more stress-filled, uncertain environment, signaled by low maternal care, in which it may be adaptive to learn better under stress. High maternal care signals a low-stress, resource-rich environment, in which it may be more adaptive to learn better in the absence of stress. The implications of this work for humans is not known, although there is preliminary evidence that adverse early experiences increase GR gene methylation, and thereby reduce GR density, in the human brain as well (McGowan et al. 2009; Romens et al. 2014). Some kinds of psychopathology, such as depression and PTSD, are also associated with altered MR and GR expression in particular brain areas (Klok et al. 2011; Webster et al. 2002); whether this is a cause/precondition or a consequence of the disorders, or both, remains to be determined. Ultimately, though, it is clear that there can be individual differences in GR expression in the brain, which will in turn influence what amount of GCs improves vs. impairs memory. In contrast with the complex effects of GCs on memory consolidation discussed above, acute increases in GCs generally suppress memory retrieval. In many studies in which stress or GCs were administered to lab animals or humans at the time of memory retrieval, impaired retrieval was observed (de Quervain et al. 2009; Smeets et al. 2008; see Wolf 2008 for more examples). The effects of GCs on memory retrieval have been associated with decreased activity in medial temporal lobe structures such as the hippocampus and the superior frontal gyrus (Oei et al. 2007; Wolf 2008). It must be pointed out, however, that GCs sometimes boost retrieval (e.g., Schwabe et al. 2009). It appears that the effects of GCs on retrieval also follow an inverted-U-shaped dose–response curve. This curve is simply shifted to the left, such that it generally takes a smaller dose of GCs to impair retrieval than it does to impair consolidation. Another complication is the interaction of GC effects on retrieval with the well-known phenomenon of context-dependent retrieval: that is, that we retrieve information better when we are placed in the same or similar environmental context in which we encoded the information. Evidence suggests that the boost to retrieval from being tested in a congruent context, can undo the impairment in retrieval caused by stress and elevated GCs (Schwabe and Wolf 2009a). Why would animals have evolved such that moderate levels of GCs, generally speaking, enhance consolidation of memories but impair retrieval? Again, the evolutionary process that led to this pattern of effects is not known, but we can speculate. In simple terms, these memory effects make sense considering which changes in cognitive processes are generally adaptive during a time of crisis. Organisms must prioritize information about the newer, more emotionally salient experiences over older information that might now be outdated, given the new stressful circumstances. This makes sense considering the costs associated with remembering everything mentioned earlier: the high neural use of energy, limited cranial space for neural growth, and potential cognitive deficits associated with near-perfect memory. Another point here is that, in general, stress seems to shift the brain towards more subcortical processing (amygdala, striatum) and away from higher-order cognitive processes such as retrieval (which depends on prefrontal cortex as well as hippocampal function; Gazzaniga et al. 2014) (Schwabe et al. 2010a). Again, we can speculate that metabolic costs might be part of the reason for this; prefrontal cortex tissue uses even more glucose, gram for gram, compared with brain tissue in other regions (Gazzaniga et al. 2014). As will be discussed next, the effects of GCs on executive functioning also fit this pattern. Working memory – the active, “on-line” manipulation of material in short-term storage – is also generally impaired by stress or GCs, particularly under high task load (Lupien et al. 1999, 2007; Oei et al. 2006). Working memory has been shown to depend on the dorsolateral prefrontal cortex (Carlson 2010; Kandel et al. 1991; Gazzaniga et al. 2014). The prefrontal cortex is an area of particularly dense GR expression in the primate brain (Pryce 2008; Sanchez et al. 2000), so GCs likely influence working memory by acting at receptors in this region. Also of note, as with memory consolidation and retrieval, the effects of GCs on working memory also depend on elevated norepinephrine in the amygdala (Elzinga and Roelofs 2005). Notably, the impact of GCs on working memory once again seems to follow an inverted-U-shaped dose–response curve, but this curve is shifted to the left, so that smaller doses of GCs are sufficient to impair working memory compared to consolidation of episodic memory. In support of this, stress does seem to enhance working memory under some circumstances. For example, in recent pilot data from our laboratory, male college students who underwent a speech stressor performed better on a working memory task compared to controls (Fig. 3; Wirth, Gaffey and Martinez, unpublished data). Future research will help to establish exactly why stress sometimes benefits and sometimes impairs working memory. However, one factor could be the gender of the participants: In one study, men’s working memory performance was improved by stress while women’s was impaired (Schoofs et al. 2013). Time of day may also be a factor; working memory seems particularly impaired by stress when tested in the morning, when endogenous GC levels are already high (Schoofs et al. 2013), whereas experiment sessions in our study took place in the late afternoon, when GC levels are lower and perhaps below the “optimal” point in the inverted-U curve. Another factor might be the relative ease of the cognitive task for this particular, high-performing student participant pool; both the task load (Oei et al. 2006) and the participants’ sense of control over the tasks (see, e.g., Abelson et al. 2008) could play a role in whether stress helps or hinders their performance. GCs appear to affect other aspects of prefrontal-dependent executive functioning beyond working memory (Arnsten 2009). 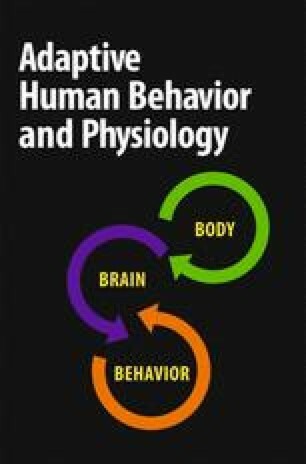 Recent evidence in humans suggests that either stress or pharmacological elevations of GCs and norepinephrine cause shifts in performance from goal-directed behavior to habitual responding (Schwabe and Wolf 2009b; Schwabe et al. 2010a). This effect may also be dose-dependent and follow an inverted-U curve, as with effects of GCs on memory -- this is not yet known. In any case, these findings have implications for effects of stress and stress hormones on a variety of disorders (drug addiction; OCD; ADHD), executive functions, and behavioral flexibility. Why does stress tend to impair working memory? Why would any hormonal system ever impair working memory? First, keep in mind that the effects of acute stress on working memory are likely short-lived, although little data exists to address exactly when working memory returns to normal after a stressor. Second, working memory depends on the prefrontal cortex, which uses even more energy than the rest of the brain; working memory also takes more time than many other, more automatic cognitive functions. Acute stress might not be the most adaptive time to engage in the most metabolically costly brain functions (Sapolsky 2002); it may be adaptive at these times to rely more heavily on faster, habit-based approaches to the problems at hand. Also, there seem to be trade-offs between different aspects of cognitive function; for example, “savant” skills involving access to less-processed sensory information seem to come at the cost of abstract levels of processing (Snyder 2009). Similarly, working memory may come with cognitive as well as metabolic costs. Functioning in different brain systems, and therefore in cognition and behavior, must be flexible and subject to change from environmental influence. Why might it be adaptive for stress to shift behavioral responding to habitual as opposed to flexible, goal-directed responding? Working memory and goal-directed responding are examples of what are called “executive functions”; Barkley (2001) makes a convincing argument that executive functions evolved primarily to serve complex (and some hominid-specific) social functions over the longer term, such as reciprocal altruism, vicarious learning, influencing others, and defending against others’ influence. Although these social tools are essential for human survival, they do come with costs (Barkley 2001). Speculatively, in some situations, such as during crisis or threat, it may be adaptive to revert to short-term strategies and evolutionarily older, powerful brain functions such as amygdala-dependent classical conditioning. During stress, organisms might also benefit from limiting behavioral flexibility and relying on well-learned habits – the “tried and true” – in order to reduce risk to the organism. This does not contradict the idea that stress facilitates memory consolidation (new information) while impairing retrieval (of old information): Episodic memory is served by different brain systems and serves different functions to the organism vs. motor/habit learning (Fig. 1); during stress it makes sense to prioritize consolidation of new episodic memories over retrieval, while simultaneously reverting to habitual motor responding rather than more time-consuming goal-directed behavior to deal with survival in the moment. Even if shifting away from executive function during stress is not behaviorally or cognitively adaptive, it may be adaptive in terms of saving energy, which is at a premium during fight or flight activities. As mentioned previously, much more time and energy is needed to engage in prefrontal cortex-dependent processes like episodic memory retrieval and goal-directed responding, vs. faster and less energy-intensive subcortical processes, such as amygdala-driven emotional enhancement of encoding/consolidation, and striatum-dependent habit behavior. The findings of Schwabe and colleagues provide evidence that stress and GCs bias the brain towards more activation of the striatum vs. the prefrontal cortex (Schwabe et al. 2010b). It is also important to keep in mind that not every effect of stress is necessarily a specific adaptation. It might be the case that certain effects of stress on the brain were adaptive enough that they evolved, dragging other effects along with them: i.e. they could be “spandrels” (Gould and Lewontin 1979). For example, there might be particular evolutionary reasons why the pre-frontal cortex is responsive to stress and GCs, and that brings with it a number of side effects (such as stress-induced working memory impairment) that are not maladaptive enough to outweigh the benefits. A summary of how GCs impact consolidation and retrieval of long-term memory; consolidation of emotional long-term memory; and executive functions is shown in Table 1. Gated by NE in the amygdala? De Quervain et al. 2009; Smeets et al. 2008; Roozendaal et al. 2004a. Roozendaal et al. 2004b; Oei et al. 2006; Lupien et al. 1999; Schwabe et al. 2010a. Oxytocin and Memory: Social Cognition Only, or Broader Effects? GCs are not the only hormones that impact memory. Recently, there has been an explosion of interest in potential psychological effects of the hormone oxytocin. Oxytocin is a peptide hormone which plays roles in mammalian social behaviors, including maternal care, pair-bonding, and social memory (Carter 1998; Winslow and Insel 2004; Young and Insel 2002). Inspired by work in laboratory animals, researchers in social and clinical psychology have investigated effects of oxytocin on human social behavior. This work has been facilitated by the availability of oxytocin nasal spray, a safe and noninvasive way to elevate oxytocin levels in the human brain (MacDonald et al. 2011).3 Some of the most notable findings include that oxytocin administration increased trust in a human partner in an economic game (Kosfeld et al. 2005), and that oxytocin under some circumstances increases cooperation in Prisoner’s Dilemma-type games (Bartz et al. 2011a; de Dreu 2012). Some of the recent research on oxytocin and human cognition has been inspired by the dramatic finding that mice lacking oxytocin have a social memory deficit: They fail to recognize a familiar mouse as familiar, although they don’t have any deficits in non-social memory, e.g. recognizing familiar non-social odors (Ferguson et al. 2000). Though the effects of oxytocin on social recognition are complex, and depend on memory phase and species (Winslow and Insel 2004), this research has sparked interest in whether oxytocin affects social memory in humans as well. For example, findings from some studies suggest that oxytocin boosts memory for new faces in humans (Guastella et al. 2008; Rimmele et al. 2009), although other studies have failed to replicate this effect or found the opposite (Di Simplicio et al. 2009; Herzmann et al. 2012). Nonetheless, there is great interest in oxytocin’s potential to improve social cognition as well as promote pro-social behavior. Because of these potential effects, oxytocin is currently being tested as an adjunct treatment for disorders characterized by social deficits, including Autism Spectrum Disorder (ASD) and schizophrenia (Andaria et al. 2010; Feifel et al. 2010; reviewed in Bakermans-Kranenburg and van IJzendoorn 2013). However, very little is known to date on the effects of oxytocin on human cognition. Though it is tempting to think of oxytocin as a hormone that boosts social cognition, there are several complicating factors that must be considered. First, recent research in humans suggests that oxytocin may have anti-social as well as pro-social effects. For example, in some studies oxytocin promoted in-group favoritism and bias (de Dreu et al. 2010, 2011). In addition, recent research in humans focuses on how oxytocin affects complex aspects of social cognition, while ignoring potential effects of oxytocin on basic cognitive processes. Interestingly, oxytocin generally causes impairment of learning and memory in laboratory animals, outside of the social domain (Boccia et al. 1998; Engelmann et al. 1996; Wu and Yu 2004). This finding was robust enough that oxytocin was labeled by some researchers as an “amnesic peptide” (de Wied 1997; the closely-related peptide vasopressin, on the other hand, generally improves memory consolidation, Engelmann et al. 1996). Work in rodent models localized oxytocin’s effects on memory to the amygdala, hippocampus, septum, and some thalamic areas (de Wied 1997). Recent research in humans also suggests that oxytocin impairs memory for non-social (and sometimes also for social) material (Heinrichs et al. 2004; Herzmann et al. 2012). As oxytocin seems to have overall impairing/amnesic effects on declarative memory, so might it have similar effects on other forms of memory. While findings regarding oxytocin’s social effects, e.g. on trust and empathy, are highly provocative, it is not well understood how oxytocin achieves these effects. Some researchers maintain that such effects could be explained by a simple reduction in anxiety (Churchland and Winkielman 2012), although others have argued against this view (Bartz et al. 2011b). In any case, it is hard to argue that oxytocin has selective or specific effects on the brain, given its widespread receptor distribution (Churchland and Winkielman 2012). In other words, if a hormone or neurotransmitter had very selective, specific effects on behavior, one would expect its receptor distribution to be localized to a small number of brain areas relevant to that behavior. Instead, oxytocin receptors are found all over the brain, suggesting a broader array of effects (Churchland and Winkielman 2012; de Wied 1997; Goodson & Thompson, 2010; Phelps et al. 2010). Furthermore, oxytocin and its variants (e.g., vasotocin) are evolutionarily ancient hormones that have multiple physiological and behavioral functions (e.g. appetite suppression: Olszewski et al. 2010; smooth muscle contraction including milk ejection and uterine contractions: Young and Insel 2002). Even animals with no pair-bonding, parental care, and that do not live in groups have oxytocin or vasotocin, with similar brain distributions (Goodson & Thompson, 2010). Therefore, it seems unlikely that oxytocin has a single, specific function in, for example, enhancing attention to social stimuli in humans. What hasn’t been investigated is whether some or all of oxytocin’s social effects are due to an impact on some more general cognitive process. One possible candidate for such a process is working memory. I propose a novel hypothesis that oxytocin exerts some of its effects on social behaviors in humans (trust, cooperation, and in-group bias) via temporarily inhibiting or impairing working memory. I suggest this hypothesis with the caveat that it is currently speculative. Also, oxytocin probably influences many (general and specific) cognitive processes, not just working memory. I use this hypothesis as an example, though, to demonstrate that much is still unknown about how oxytocin affects cognition; researchers should consider the possibility that oxytocin’s effects on social cognition and social behavior occur via one or more broad, less specific effect(s) on the brain. If oxytocin does in fact reduce working memory performance (which remains to be demonstrated), this could explain in part why oxytocin sometimes causes pro-social and sometimes anti-social effects in humans. By dampening the ability to inhibit pre-potent responses, oxytocin would simultaneously reveal both the impulse to act pro-socially towards an in-group member, and the impulse to act anti-socially towards an out-group member. This hypothesis also could help explain other findings in the literature. Many effects of oxytocin manipulation seem to depend on the attachment style of the person receiving the oxytocin (Bartz et al. 2010, 2011a, b; de Dreu 2012). For example, in adult men who were asked to make recollections of the care and closeness provided by their mothers when they were growing up, securely attached men remembered their mothers as more caring after oxytocin administration (vs. placebo), but anxiously attached men remembered their mothers as less caring (Bartz et al. 2010). Also, in individuals high in attachment avoidance, oxytocin decreased trust and cooperation in a cooperation-oriented version of the Prisoner’s Dilemma game (Bartz et al. 2011a). Relevant for these findings is Murray and colleagues’ two-factor model of trust (Murray et al. 2013). Murray et al. have proposed that trust behavior in a given situation is controlled by the interaction between the automatic impulse to trust and more conscious and deliberate (i.e., reflective) evaluations of trustworthiness of the partner. Importantly, Murray and colleagues have demonstrated that a person’s working memory capacity determines how well they can override their automatic impulse to trust (or distrust) using their conscious, reflective evaluations. The researchers went further, experimentally increasing working memory load, thus depleting working memory resources in their participants; this resulted in the participants relying more on their automatic impulses to trust even in the face of a rejecting partner, or to distrust, if that was their automatic orientation (Murray et al. 2011). Oxytocin might have divergent effects on people with different attachment styles in part from causing a temporary decrement in working memory, which in turn reveals their automatic impulses to trust (for those with secure attachment) or distrust (for those with anxious or avoidant attachment). A dampening effect of oxytocin on working memory might also help explain other puzzling findings in psychology. In a striking example, Baumeister and colleagues found substantial impairments in performance on I.Q. and GRE tests after participants were told they were likely to end up alone in life, compared with control groups told nothing or that they were likely to face severe physical injuries throughout their life (Baumeister et al. 2002). Notably, cognitive tasks relying on more automatic processes were not affected. The authors explain these findings by evoking the cognitive effort required to suppress emotional distress arising from the threat of social isolation. However, it is not clear why similar cognitive effort would not be employed to control distress arising in the physical injury condition, which generated similar levels of negative mood. Another possible explanation is that priming social isolation led to an increase in oxytocin levels in the brain, and this oxytocin increase led to impaired working memory. Plasma oxytocin levels are elevated in other conditions of social isolation, such as relationship distress (Taylor et al. 2010), and I.Q. test performance is strongly predicted by working memory. This possibility remains to be tested, of course; it is presently unknown whether the Baumeister et al. manipulation results in any changes in oxytocin release. This is one example, however, of how a dampening effect of oxytocin on working memory could potentially help explain otherwise puzzling findings. The hypothesis that oxytocin exerts social effects via impairing working memory is new and speculative. In order for this hypothesis to be supported, data must be generated to test whether: (1) oxytocin causes a reduction in working memory, specifically the ability to suppress pre-potent responses; and (2) oxytocin’s effects on working memory / ability to suppress pre-potent responses mediates or partially explains the effects of oxytocin on cooperation, in-group bias, and/or other social effects. Some data do exist on how chronic (3 weeks) oxytocin administration affects working memory performance in patients with schizophrenia; oxytocin had no effect on performance on a Letter Number Sequence (LNS) task (Feifel et al. 2012). However, chronic treatment cannot be compared to acute increases in oxytocin; in fact there could be adjustment in the brain to the effects of oxytocin during chronic treatment. Also, the effects in people with schizophrenia could differ from effects in a healthy population, and furthermore, the LNS task may not be the best task to sensitively measure small changes in working memory performance; this task is more suited to neurocognitive testing in cases of brain damage or neurodegenerative disease. Thus, it is still important to test acute effects of oxytocin on working memory in a healthy population. Some such studies are already underway in our laboratory, as well as other studies designed to test effects of oxytocin on cognition and emotional processes more globally. It may be puzzling to contemplate why oxytocin would have evolved to have suppressive effects on declarative or working memory. To address this, I will reiterate some of the arguments made above in the context of glucocorticoids, as well as bring up new speculative arguments for oxytocin in particular. First, effects of oxytocin on learning and memory are likely transitory, although once again the exact time course of these effects has not been explicitly studied. Second, as outlined above, there are many reasons it is adaptive for organisms to carefully regulate cognitive function. Prefrontal cortex functions in particular are time- and energy-consuming; one can imagine many situations in which it would be adaptive to limit these functions in favor of faster or less metabolically costly cognitive processes. Oxytocin levels increase during stress (eg., Engelmann et al. 2006; Taylor et al. 2000), so oxytocin, like GCs, may support a stress-adaptive pattern of allocation of resources to brain systems. Further, as mentioned above, some cognitive processes may require trade-offs with others. In the case of oxytocin, we can speculate that there are social situations in which it is adaptive to temporarily limit executive function. For example, if working memory is essential to inhibit the automatic impulse to trust (Murray et al. 2011, 2013), one can think of situations in which dampening working memory would facilitate adaptive behaviors such as pair bonding, cooperation, and forming and maintaining friendships and alliances. Even if oxytocin is found to not have any impact on human working memory, I describe this hypothesis as an example of a cognitive mechanism by which oxytocin may exert some of its complex, social effects. It is important for researchers to fully explore the impact of oxytocin on cognition in general before crafting theories on how oxytocin affects social cognition in particular. It is also important for clinical and social psychology researchers to be aware of past research demonstrating amnesic effects of oxytocin in laboratory animals, and to incorporate these findings into theories of how oxytocin affects human beings. In discussing the effects of oxytocin and of glucocorticoids on memory, several parallels can be drawn. Oxytocin, too, is released during stress (see e.g. Engelmann et al. 2006; Taylor et al. 2000), and so it stands to reason that some of the effects of oxytocin may mirror the effects of classical stress hormones, GCs. There is much redundancy in the functions of hormones and peptides, so two hormones having similar effects in the brain and body is by no means unusual (see e.g. Joëls and Baram 2009). One effect seemingly shared between oxytocin and GCs is helping to shut down the HPA axis response: GCs exert negative feedback on the HPA axis, and there is evidence that oxytocin downregulates the HPA axis response to stress as well (Heinrichs et al. 2003; Neumann et al. 2000; Quirin et al. 2011; Uvnas-Moberg 1998). If oxytocin dampens the HPA axis response, and HPA axis hormones sometimes facilitate memory, might the amnesic effects of oxytocin occur via a reduction in GC levels? This seems possible, but for this hypothesis to be supported, it would have to be shown that oxytocin reduces GC levels not only during stress, but at all times. In fact, recent data from our laboratory shows that, in the absence of stress, intranasal oxytocin has no effect on cortisol levels in men or women (Wirth, Gaffey, and Martinez, unpublished data). These data suggest that the effects of oxytocin on cortisol are stress-specific. In other words, oxytocin may have a top-down influence on stress rather than shutting down the HPA axis directly (although see Neumann et al. 2000). Yet, oxytocin still impairs memory when given outside of a stressful context (Boccia et al. 1998; de Wied 1997; Engelmann et al. 1996; Heinrichs et al. 2004; Herzmann et al. 2012; Wu and Yu 2004). This cast doubt on the idea that oxytocin affects memory by altering GC levels. Also, the fact that oxytocin receptors exist in areas important to learning and memory, including amygdala, hippocampus, and prefrontal cortex (Boccia et al. 2007; de Wied 1997; Phelps et al. 2010), suggests that oxytocin could plausibly impact memory directly. As research moves forward, it will be interesting to discover whether oxytocin's effects on working memory parallel those of GCs. It will also be important to determine whether effects of oxytocin on memory, or on any cognitive or behavioral endpoints, follow inverted-U-shaped dose–response curves. Hormones can have subtle or dramatic effects on memory. GCs can enhance or impair long-term declarative memory, as well as working memory, depending on the dose of GCs; the timing (i.e. during consolidation vs. retrieval; also when tested at times of high or low endogenous GCs); emotional context / emotional content of the material being learned; and potentially individual differences such as gender and early life trauma. Much less is known about how oxytocin affects memory, particularly human memory. However, there is evidence that oxytocin generally impairs consolidation of declarative memory, even though it boosts social learning in some species. More exploration is needed as to how oxytocin affects human cognitive processing in general before reaching any conclusions about selective effects of oxytocin on social cognition, and before serious pursuit of oxytocin as a treatment for disorders of social cognition. Why did we evolve to have such a varied and complex system of hormonal (and other) impacts on learning and memory? Because the environments, social and otherwise, that organisms find themselves in are also varied and complex- and always changing. This means it is important from an adaptability standpoint to be able to remember and also to be able to forget. Memory isn’t free: building and strengthening new neural connections takes energy, raw materials and (sometimes) physical space, making forgetting obsolete information highly worthwhile. It’s obviously adaptive to override old memories with new memories containing updated information. Furthermore, a number of lines of evidence suggest that a perfect, veridical memory of everything that has ever happened to you is far from adaptive. Even forming particularly strong memories of important, emotional experiences can go too far, as is seen in conditions like PTSD. Our brains have evolved to sort through the constant stream of multimodal stimuli thrown at them, efficiently extract out the gist, what is salient, and what is useful (e.g., Payne 2014; Nairne and Pandeirada 2010), discard what is no longer useful, and update memories with each and every retrieval (Nader and Einarsson 2010). Since memory seems to work this way across animal taxa, it is likely that this is an adaptive way for cognition to work in our world. Hormones that affect memory processes, including GCs and oxytocin, may be one of many mechanisms that have evolved to shape these memory processes in the nervous system. With current methodology available to test memory effects in humans, it is very difficult to tease apart effects on encoding (the initial intake of new information) from consolidation (the process by which encoded information becomes a long-term memory trace). In fact, in learning and memory research, there is not agreement on exactly when encoding ends and consolidation begins (Carlson 2010; Gazzaniga et al. 2014). This line may be blurry, and seems to depend on a number of factors, including species and the type and complexity of information being learned. For these reasons, I will not differentiate between GC effects on encoding vs. GC effects on consolidation in this review, except to state that evidence does show that GCs do not simply affect encoding, but also affect the consolidation process post-encoding (see e.g. Buchanan and Lovallo 2001; Smeets et al. 2008). Sometimes I will use the term “memory formation” when it is unclear from a study whether encoding, consolidation, or both were affected, e.g. when stress/GCs were administered prior to encoding (e.g., Rimmele et al. 2003). The more general term “memory formation” is used here since it is unclear in this study whether encoding, consolidation, or both were affected, since GCs were manipulated prior to encoding. GC elevation was high enough and probably lasted long enough that consolidation could also have been impacted. Salivary GC concentrations increased 14-17-fold in this study, with no drop in the 20 min between sampling points; thus, very high – and likely supraphysiological – GC levels were achieved (Rimmele et al. 2003). It could be that memory was impaired because this dose was high enough to push participants into the right-hand half of the inverted-U dose curve. In the recent past, there was debate about whether oxytocin nasal spray, the primary tool for manipulating oxytocin in human research, actually enters the brain (see e.g. Churchland and Winkielman 2012). Evidence indicates that it does. In humans, large increases in oxytocin in cerebrospinal fluid were observed after oxytocin nasal spray administration (Striepens et al. 2013). In lab animals, oxytocin applied intranasally was detected in hippocampus and amygdala within 30–60 min. (Neumann et al. 2013). What is more difficult to control or measure is the exact dose that actually reaches the brain, even after a carefully-controlled dose is applied intranasally. The author thanks Allison Gaffey, Brandy Martinez, Tom Lienhoop, Erica Mitchell, and the rest of the undergraduate lab team for collection and processing of data shown in Fig. 3. The author also thanks Michael J. Poulin for fruitful discussions on oxytocin and cognition, particularly for pointing her toward findings of Sandra Murray and Roy Baumeister and how they might lend support to the hypothesis that oxytocin could influence social behaviors by affecting working memory function. The author also thanks Justin Carré and Allison Gaffey for providing feedback on the revised manuscript. Gaffey, A.E. & Wirth, M.M. (2014). Stress, rejection, and hormones: Cortisol and progesterone reactivity to laboratory speech and rejection tasks in women and men [v1; ref status: approved with reservations 2., http://f1000r.es/48a] F1000Research, 3:208 (doi: 10.12688/f1000research.5142.1). Webster, M.J., Knable, M.B., O’Grady, J., Orthmann, J., & Weickert, C.S. (2002). Regional specificity of brain glucocorticoid receptor mRNA alterations in subjects with schizophrenia and mood disorders. Molecular Psychiatry, 7(9), 985–94, 924. doi: 10.1038/sj.mp.4001139.